In the early morning hours, Mey Sahun and his wife walk out to the back of their house to tend to their vegetable farm. On a bright Monday morning in October, the cucumbers and morning glory were nearly ready for harvest. The smell of garlic chives permeated the air. The father of nine walked up and down the neatly planted rows, looking for vegetables ready for market. The farm helps subsidize his income as a local government councillor in Trapaeng Kranhoung commune, an area of more than 10,000 people living in about 2200 homes. Currently, less than 15 percent of those homes have a toilet. Most people continue to defecate out in the nearby fields and forests, and until recently, that included Mr. Mey who purchased and built a toilet for himself and his family only months ago. 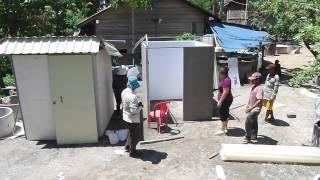 Despite not having a toilet, Mr. Mey and his colleague Rie Sopheap had been tasked with improving sanitation in Trapaeng Kranhoung but their previous attempt at implementing a program failed. Most people were not interested in toilets. 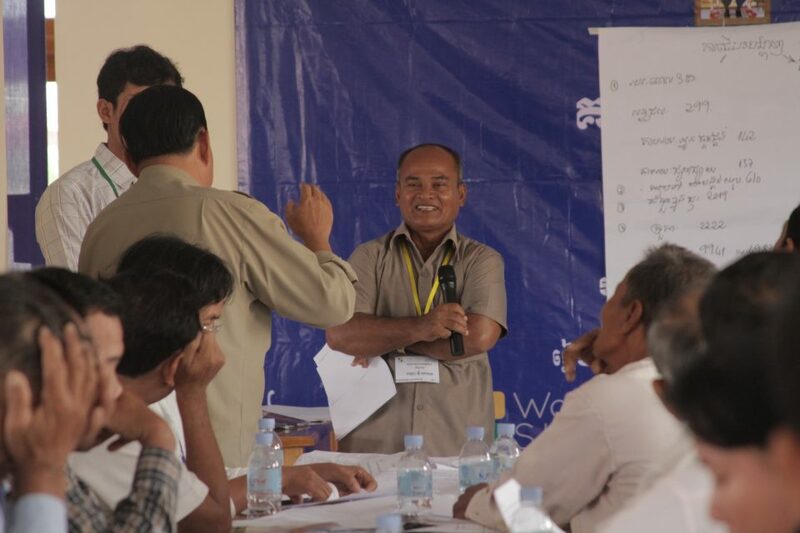 So in June, they and their commune chief enrolled in the Civic Champions program, WaterSHED’s year-long mentorship program which aims to build leadership capacity of local government councillors across Cambodia. At their first 3-day workshop in August, Mr. Mey and his fellow councillors from Takeo province learned how to develop strategies, collaborate effectively and measure success. By November, Mey and Rie managed to convince more than 150 families to purchase a toilet increasing the sanitation coverage in his commune by 50 percent in only three months. His commune received the gold prize for outstanding achievement in the second cycle of Civic Champions. He took the microphone, slightly choked up, told his fellow councillors he’s going to do it again next round.